Alpha MED Scientific Inc (hereinafter referred to as “Company”) is dedicated to protecting the confidentiality and privacy of information entrusted to it. As part of this fundamental obligation, the Company is committed to the appropriate protection and use of personal data that has been collected online. We obtain personal data about you if you choose to provide it — for example, to contact mailboxes or to register for certain services. In some cases, you may have previously provided your personal data to the Company (if, for example, you are a former employee). If you choose to register or login to a Company’s web site using a third party single sign-in service that authenticates your identity and connects your social media login information (e.g., LinkedIn, Google, or Twitter) with the Company, we will collect any information or content needed for the registration or log-in that you have permitted the social media provider to share with us, such as your name and email address. Other information we collect may depend on the privacy settings you have set with your social media provider, so please review the privacy statement or policy of the applicable service. The Company generally collects only the personal data necessary to fulfill your request. Where additional, optional information is sought, you will be notified of this at the point of collection. Your consent: we may occasionally ask you for specific permission to process some of your personal data, and we will only process your personal data in this way if you agree to us doing so. You may withdraw your consent at any time by contacting the Company at +81 72 648 7973. On some of our web sites, a notification banner will appear requiring your consent to collect cookies. If you do not provide consent, your computer or internet-enabled device will not be tracked for marketing-related activities. 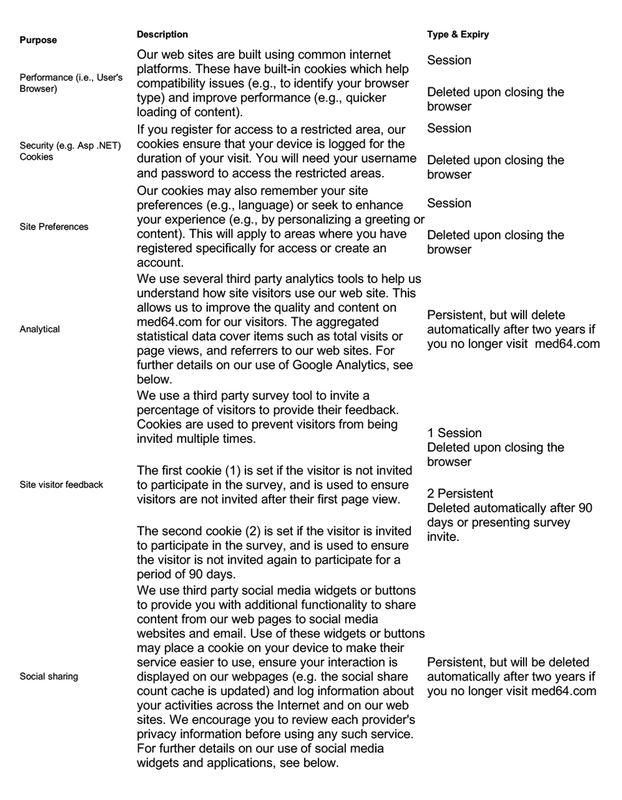 A secondary type of cookie referred to as “user-input” cookies may still be required for necessary functionality. Such cookies will not be blocked through the use of this notification banner. Your selection will be saved in a cookie. If you wish to revoke your selection, you may do so by clearing your browser’s cookies. A web beacon is a small image file on a web page that can be used to collect certain information from your computer, such as an IP address, the time the content was viewed, a browser type, and the existence of cookies previously set by the same server. The Company only uses web beacons in accordance with applicable laws. The Company or its service providers may use web beacons to track the effectiveness of third party web sites that provide us with recruiting or marketing services or to gather aggregate visitor statistics and manage cookies. The Company may collect and use the geographical location of your computer or mobile device. This location data is collected for the purpose of providing you with information regarding services which we believe may be of interest to you based on your geographic location, and to improve our location-based products and services. The Company’s web sites may include functionality to enable sharing via third party social media applications, such as the Facebook Like button and Twitter widget. These social media applications may collect and use information regarding your use of the Company’s web sites (see details on ‘Social Sharing’ cookies above). Any personal data that you provide via such social media applications may be collected and used by other members of that social media application and such interactions are governed by the privacy policies of the companies that provide the application. We do not have control over, or responsibility for, those companies or their use of your information. In addition, the Company’s web sites may host blogs, forums, crowd-sourcing and other applications or services (collectively “social media features”). The purpose of social media features is to facilitate the sharing of knowledge and content. Any personal data that you provide on any Company social media feature may be shared with other users of that social media feature (unless otherwise stated at the point of collection), over whom we may have limited or no control. The Company understands the importance of protecting children’s privacy, especially in an online environment. In particular, our sites are not intentionally designed for or directed at children under the age of 16. It is our policy never to knowingly collect or maintain information about anyone under the age of 16 without obtaining consent from the holder of parental responsibility over the children. Accordingly, if you are under the age of 16, you have to obtain a permission from a person in parental authority for you to send your personal data to us via our web site. Our service providers: The Company work with reputable partners, service providers or agencies so they can process your personal data on our behalf. The Company will only transfer personal data to them when they meet our strict standards on the processing of data and security. We only share personal data that allows them to provide their services. Courts, tribunals, law enforcement or regulatory bodies: The Company may disclose personal information in order to respond to requests of courts, tribunals, government or law enforcement agencies or where it is necessary or prudent to comply with applicable laws, court or tribunal orders or rules, or government regulations. The Company will not transfer the personal data you provide to any third parties for their own direct marketing use. In general, you are not required to submit any personal data to the Company, but we may require you to provide certain personal data in order for you to receive additional information about our services and events. The Company may also ask for your permission for certain uses of your personal data, and you can agree to or decline those uses. If you opt-in for particular services or communications, such as an e-newsletter, you will be able to unsubscribe at any time by following the instructions included in each communication. If you decide to unsubscribe from a service or communication, we will try to remove your information promptly, although we may require additional information before we can process your request. You can make a request or exercise these rights by contacting the Company at +81 72 648 7973 and we will make all reasonable and practical efforts to comply with your request, so long as it is consistent with applicable law and professional standards. The Company has reasonable security policies and procedures in place to protect personal data from unauthorized loss, misuse, alteration, or destruction. Despite the Company’s best efforts, however, security cannot be absolutely guaranteed against all threats. To the best of our ability, access to your personal data is limited to those who have a need to know. Those individuals who have access to the data are required to maintain the confidentiality of such information. We also make reasonable efforts to retain personal data only for so long as the information is necessary to comply with an individual’s request or until that person asks that the information be deleted. By registering on any Company web site and then navigating to third party web site while still logged in, you agree to the use of your personal data in accordance with the privacy statement of the third party web site you are visiting.